Travel to Burkina Faso! Burkina Faso earlier known as Upper Volta — the country which is in the west of Africa. She is located on a wavy plateau of Mosiah over which certain mountains up to 750 m high rise, covered with the savanna, rare bushes, the woods and not numerous rivers, the most considerable of which — the Red, Black Volta and White Volta. Burkina Faso very different and many-sided country. A safari, hunting for wild buffalo s, rafting, the markets with authentic wooden masks under two meters high, larvae of insects for dinner and meat of an antelope for lunch, really it is possible to imagine more exotic country, than Burkina Faso? If you were satiated with trips on the Turkish coast, walks on cozy small streets of Europe and are in searches of bright impressions – to you here! It is culturally possible to be enriched in two largest cities of Burkina Faso. The capital, the city of Ouagadougou is rather modest city which it is possible to examine all in a day. Wide boulevards, magnificent vegetation and the picturesque local markets with various objects of local art – characteristics of Ouagadougou. 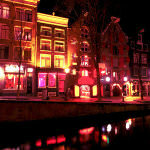 The capital is the rare city of Burkina Faso in which night life with clubs, bars and restaurants prospers. In Ouagadougou it is worth visiting the National Museum with a collection of ancient masks, pottery and ritual objects of natives. The museum continues to be under construction and filled, but here already is what to look at. Cathedral near Moro-Nab’s Palace – the biggest religious construction of all Western Africa. Weekly on Fridays at Moro-Nab’s Palace there takes place an original theatrical performance “false departure of the emperor” which illustrates historical scenes of fight of the empire of Mosiah against enemies from other states. City park of Bangr-Veugu with the sacred ancient wood, a monument of “NaabKum”, carved granite plates of “Layongo”, the zoo “ParcAnimalier de Ziniaré” and the museum of national life “Musée de Manega” – here the most interesting places of the city. 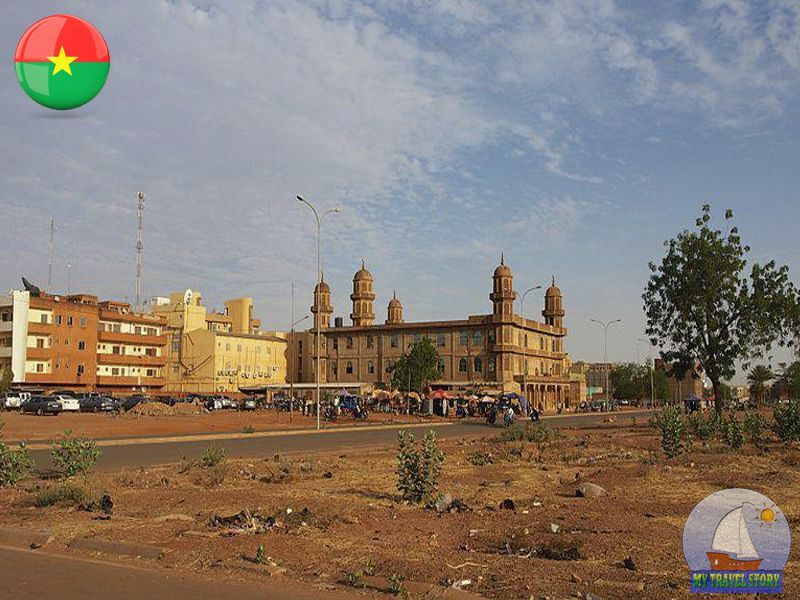 In Bobo-Diulaso, the second city of Burkina Faso glance to the most beautiful mosque of 1880, walk on the region of handicraftsmen of “Kibidvi” and visit the regional museum in Sudanese style with the most interesting exhibits of local art. The city of Vakhiguya – one of the most popular places of Muslim pilgrimage in Burkina Faso, and Banfor though has only two main streets – the known tourist place, mainly thanks to the sights located in his area. The most known natural sight of Burkina Faso are the cascade falls of Karfiguel located to the West from the city of Banfor in the reserve of the same name. This most beautiful place called also “Banfor’s Cascades” is surrounded with mangrove and cotton trees, and also thickets of a sugar cane. The particular interest of tourists causes that in the field of falls the indigenous people of Burkina Faso bearing own culture and traditions live. Near Banfor’sCascades there is a picturesque rock of Dam-de-Karfiguela with which the most beautiful panoramic views of Burkina Faso open, perhaps. If to you carries, you will be able to observe how storm streams merge with falls in a whole, it is incredibly beautiful! Travel to Burkina Faso! Ostantsa Sindu – one more interesting nature sanctuary in the territory of Burkina Faso. Ostantsa are shrines for locals and even if you don’t trust in it, having visited here, you will surely plunge into the atmosphere of the mysterious fairy tale which has shrouded this place. The rocks towering over the earth in bizzare shapes create unique pictures, the exciting imaginations and imagination. This place was considered not suitable for life till the 16th century, even it is possible to reach here only a dry season today. In total in kilometer from Ostantsev Sindu there is lake Tegreakute, this excellent place to enjoy richness of the local nature. At desire on the lake it is possible to fish, having rented all necessary at residents of the next settlement. On lake Tegreakute the great number of waterfowl who can admire here in their native habitat lives. One of the most popular entertainments in Burkina Faso is the safari, him to you can offer in each travel agency and even in hotel. The most attractive zone for a safari with light forests settles down between Uagadu and the city of Fada Gourma. Travel to Burkina Faso! Burkina Faso earlier known as Upper Volta the country which is in the west of Africa. She is located on a wavy plateau of Mosiah over which certain mountains up to 750 m high rise, covered with the savanna, rare bushes, the woods and not numerous rivers, the most considerable of which the Red, Black Volta and White Volta.